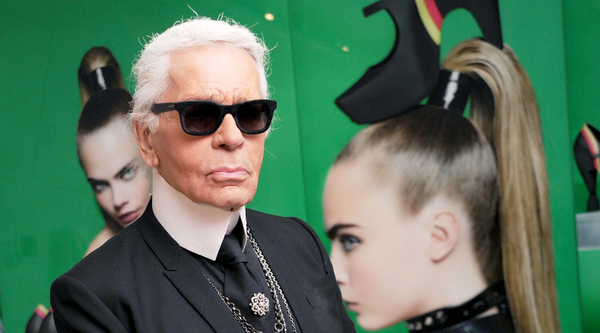 The World According To Karl provides insight into the designers life, as well as delving into subjects such as style, design and of course, luxury. The iconic mod will cover the January-February issue, as she celebrates her 40th birthday. The CEO also sits on the board at Apple, leaving much room for rumors to swirl about how he will find a way to collaborate with all three brands. By attaching offensive black labels to the front of each piece, they make it harder for customers to return an item after they wear it out just once. Captured in black and white and decked out in Saint Laurent duds, B.B King, Chuck Berry and Jerry Lee Lewis get the star treatment.